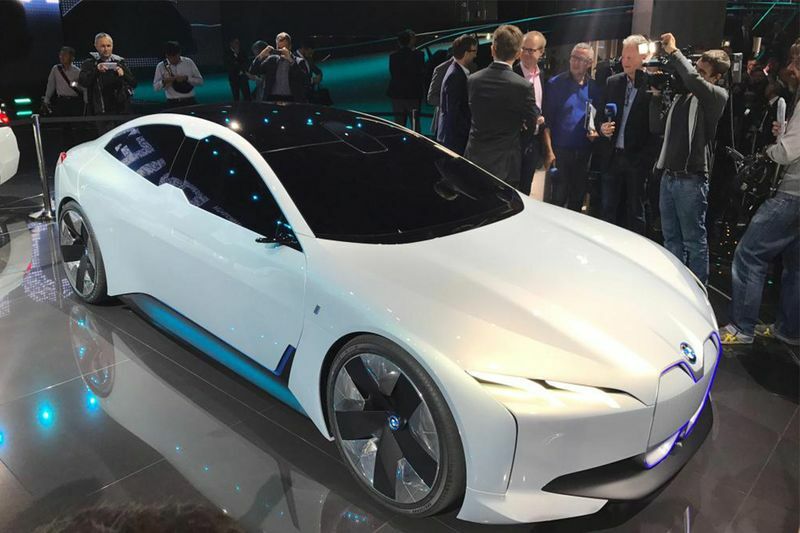 BMW’s upcoming Tesla Model S rival, the i4 saloon, will arrive in 2020 with a confirmed all-electric range of up to 435 miles, the brand has confirmed. Based on the iVision Dynamics concept, which was revealed at last year’s Frankfurt Motor Show, the four-door coupe will sit between the i3 and i8, and alongside the forthcoming iX3. It will join the firms all-electric i range by 2020, ahead of several more low emission vehicles. The iVision Dynamics, which previews the i4, cuts a slightly different character compared to BMW’s current i offerings, though some styling cues are taken from the Vision Next 100 concept car, which debuted in 2016. The large, vertical kidney grille outlines are very similar, for instance, as are the LED strip headlights and horizontal, flared taillights. Asked when the production model will launch, Irlinger added: “As soon as we have all our modular systems working, so something around 2020. We are working on a very competitive and innovative project; we are trying to find the right design for the car. “It will sit between the i3 and the i8, or the i Division is at the core of the brand. With our new modular systems, the next level of out electric powertrains, we are able to bring an electrified powertrain to all of our vehicles”. Irlinger said publicly, at the Frankfurt show, that the i4 will use lithium-ion battery cells. It will be based on a new common architecture that will allow BMW to create petrol and diesel cars, plug-in hybrids and electric vehicles all on the same platform. Personally, I think the i8 was a great addition to the BMW brand because of the overall concept being completely revolutionary and available, not to mention, it's futuristic styling. The all-new i4 will surely be no exception.